Noted: This special offer not vaild on previous purchases, thank you for your understanding. This is a comprehensive pick and place robot kit for beginners to explore the robotic world or experts to build complex robots. 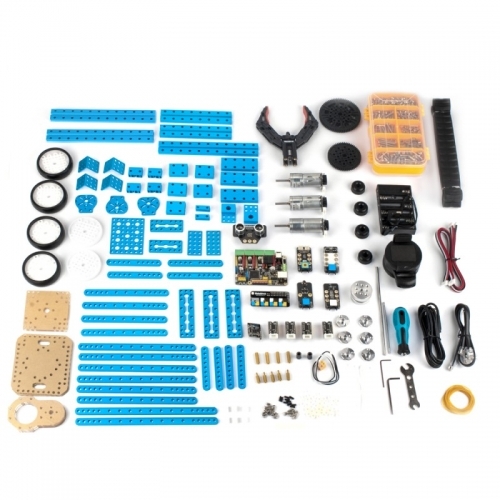 It contains everything you need to construct your robot dreams: metal geared motors, Arduino-compatible controller, programmable RGB LED strip, different kinds of sensors, robotic gripper and other mechanical parts. It is also great for learning Arduino and Scratch programming. You can control your robot with your smart device through a Bluetooth connection. Makeblock also provides the whole set of mechanical parts for Ultimate robot kit without any electronic modules. 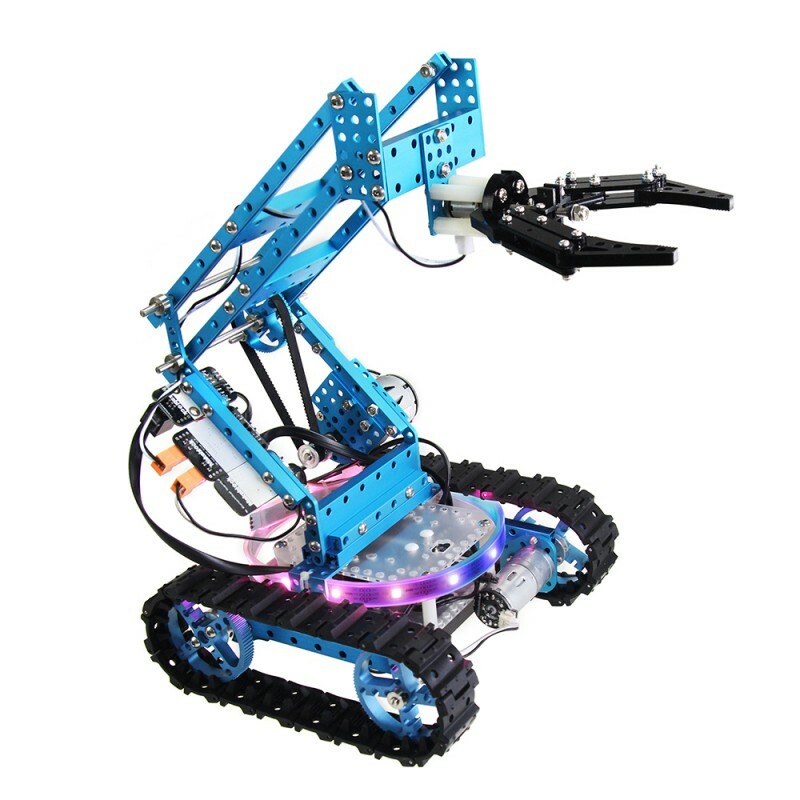 In this kit, you can start with the included step-by-step tutorial on building a robotic arm car or visit 3D Model of 10 other robotic projects.